My girl friend Mindi Lampert is a mental health counselor. 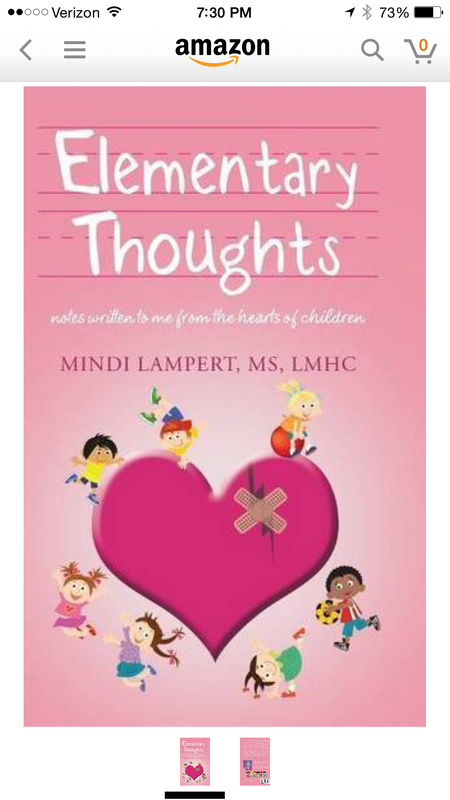 She has just published this book which is filled with notes she received from children expressing their inner most thoughts. 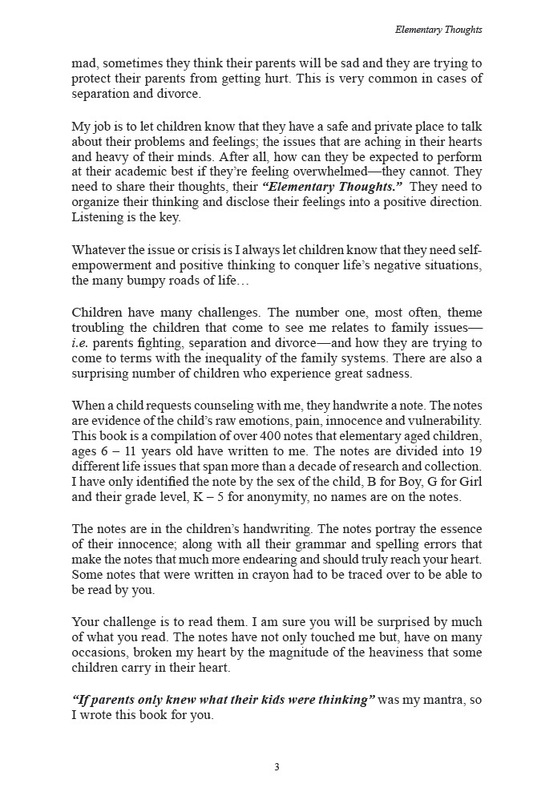 It’s a must read for anyone who wants to understand how children think. There are some amazing words under the cover. Mindi has a Master of Science degree in Counseling. 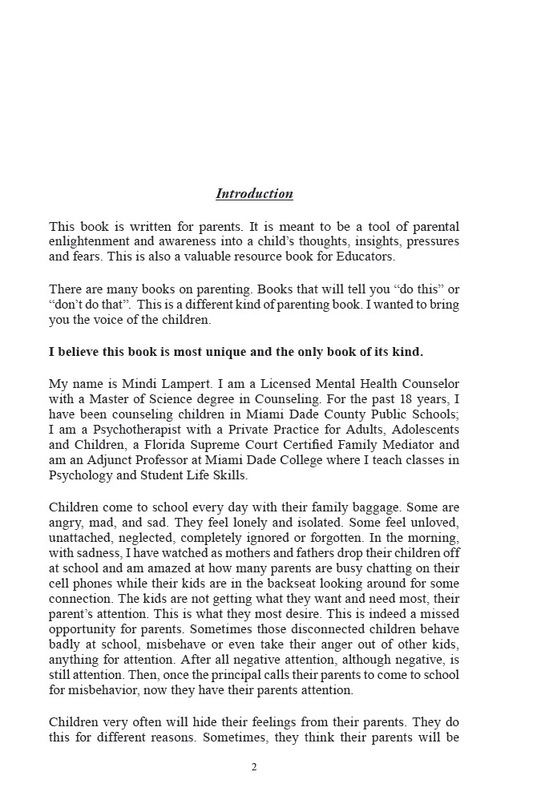 For the past 18 years, she has been counseling children in the Miami Dade County Public Schools. She is a psychotherapist with a private practice for adults, adolescents, and children. She is also a Florida Supreme Certified Court Family Mediator and an Adjunct Professor at Miami Dade College where she teaches classes on phychology and student life skills. The reason why I’m writing about Mindi’s book today is because more and more of my friends are starting to have grandchildren. This book is an eye opener. It’s also a great gift. There is nothing else like it around.